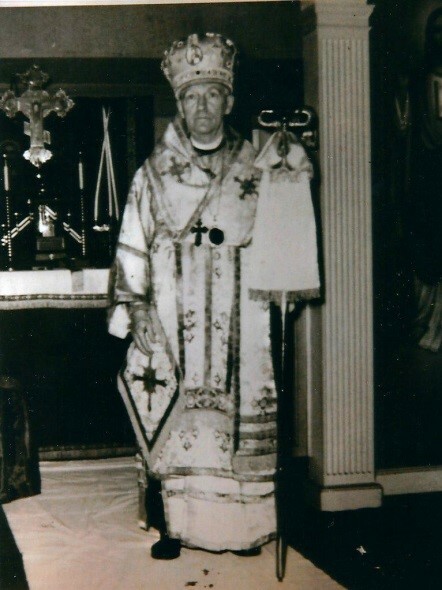 ++JAMES TOOMBS OF MANHATTAN THE FIRST PRESIDING HIERARCH OF THE AMERICAN ORTHODOX ARCHDIOCESE ~ LATER KNOWN AS THE ORTHODOX AMERICAN CHURCH AN AUTONOMOUS MISSION OF THE RUSSIAN ORTHODOX CHURCH OUTSIDE OF RUSSIA. 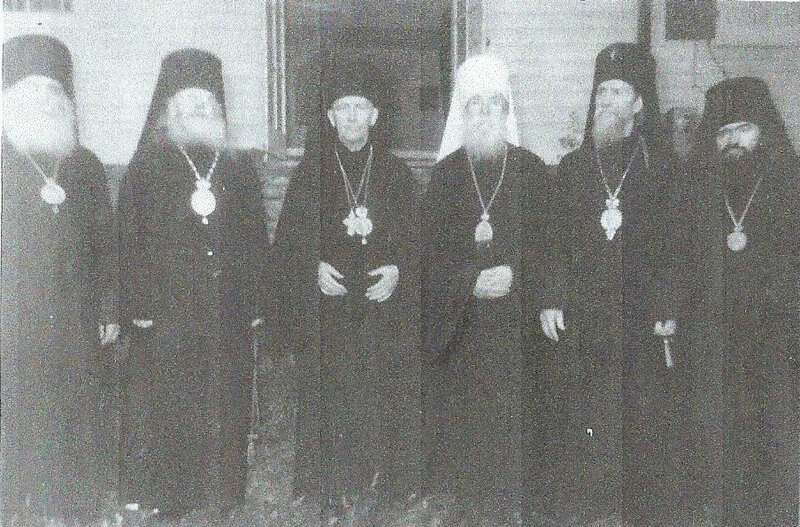 Beginning with the end of World War II the Holy Synod of Bishops of the Russian Orthodox Church Outside of Russia explored the idea of establishing a non-ethnic truly indigenous Orthodox Diocese to meet the spiritual needs of English speaking Orthodox American Christians. The plan often discussed among the Synod members had to wait and mature owing to the many logistical difficulties of such an undertaking. 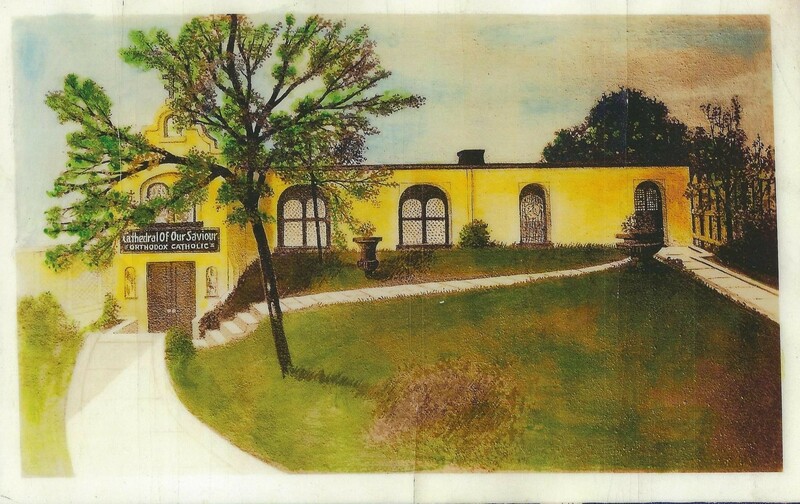 How could such a noble work be established that would serve the task at hand and remain faithful to maintaining the contiguity of the Historic Church? The formulation of a "Church within a Church" was out of the question. Equally inappropriate would be an attempt to segregate members of the Russian Orthodox Church Outside of Russia from within according to linguistic preference. Thus, for nearly a decade the idea was discussed, but shelved. In the early part of 1951, all of the essential elements to firmly establish an American Orthodox Archdiocese presented themselves and came together. The time, the place, the person and the necessary resources all took shape in the person of Roy C. Toombs. Father James, in the spirit of Melchizedech, was brought in the midst of the Synod of Russian Orthodox Church Outside of Russia, and found to possess all of the qualities, talents, theological acumen and sense of Mission to be entrusted with this work. Married, English speaking, clean shaven, a farm boy from the Midwest with invaluable experience in banking and finance, Father James was the unanimous choice of the Holy Synod to be consecrated as the Archbishop of this American Archdiocese. The next hurdle for the Holy Synod was the how? What can be done to establish such a work without going beyond the authority any Synod is entrusted with. The light bulb came on brightly. AUTOCEPHALY. 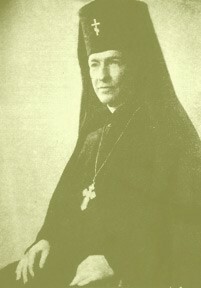 It was decided by the Synod members that Father James would be consecrated for the American Archdiocese and given full canonical autonomy and autocephaly so as to best serve the needs of the Mission. Archbishop James would be invited and have a vote at all meetings of the Holy Synod of the Russian Orthodox Church Outside of Russia, and history bears this out. However, he was never an actual member of the Synod due to his AUTOCEPHALOUS status. 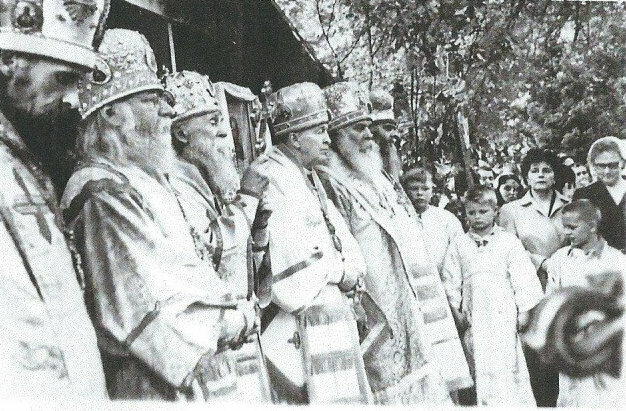 Accordingly, on the Feast of Saints Peter & Paul, ++James was Consecrated to the Sacred Episcopate by Metropolitan Anastasy Gribanovsky, Archbishop Vitaly Maximenko, Archbishop John Maximovitch, Bishop Seraphim Ivanov and Bishop Nikon Rikitsky in Mahopac, NY. A footnote to all of this comes in the form of the wording and content of the Consecration Document issued by the Russian Orthodox Church Outside of Russia Synod of Bishops. 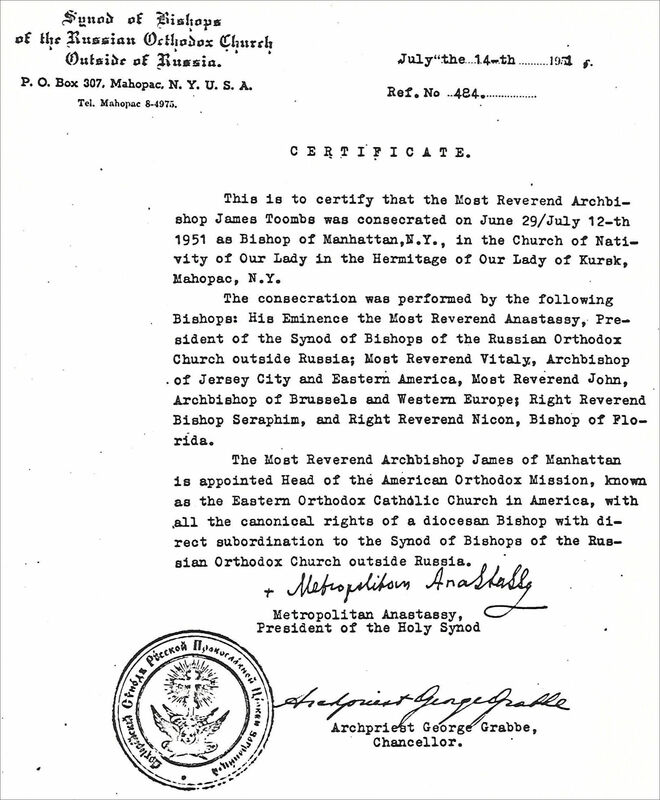 The Document makes a point of indicating both the Autonomy and Mandate given by the Russian Orthodox Church Outside of Russia that ++James Toombs was to minister to English-speaking Orthodox faithful in America. ++James, as a matter of appreciation and courtesy, for several years attended the Synodal meetings of the Russian Orthodox Church Outside of Russia while establishing the mandate given by his Consecrators. Once both sides seemed at ease with the progress and direction of the Autonomous Mission, it appeared timely for ++James to no longer attend the meetings. He continued in the good graces and will of Russian Orthodox Church Outside of Russia until his death in 1970. His appreciation and gratitude for the confidence placed in him by the Russian Synod of the Orthodox Church Outside of Russia was well known by those who knew him best. The work ++James Toombs began and organized single handed has flourished into an Eastern Rite Byzantine Archdiocese. The following organizations remain faithful to the Toombs legacy: The Better Human Relations Movement, organized and formed as a means to bring the Spiritual Man into harmony with his humanity, includes Daily Lessons to provide prayerful strength and encouragement to those seeking to live the Way of Christ while living in a somewhat tarnished society. The BHRM teachings are open to all seekers of Truth regardless of religious affiliation. The Order of Jerusalem - Militia of the Holy Ghost is a chivalric organization which promotes brotherhood and traditional family values that dominated the hearts and minds of men throughout the centuries. 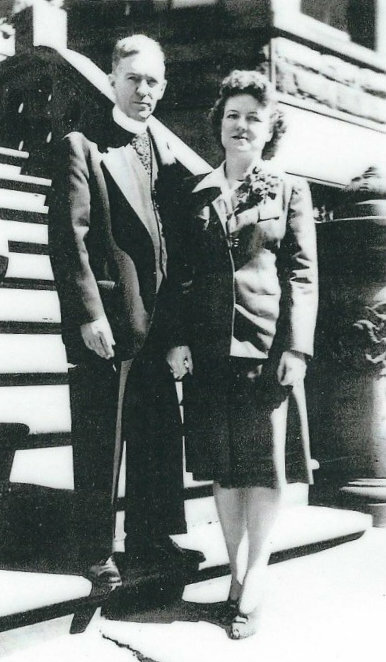 The Orthodox American Church supports the endeavors of the Order and considers it a friend of the Church and faithful to the Toombs legacy. 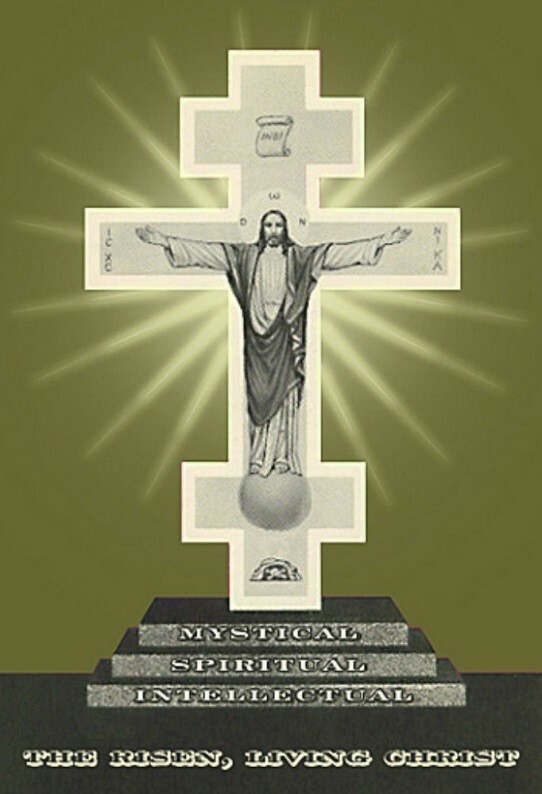 The spiritual Patron of the Order of Jerusalem-Militia of the Holy Ghost is the Celtic Episcopal Church, under the direction or the Most Rev. John W. Rinkle, also a friend of the OAC and faithful to the Toombs legacy. We welcome inquiries regarding any of our Apostolates or Ministries mentioned above. For further Information refer to our Contact Us page.